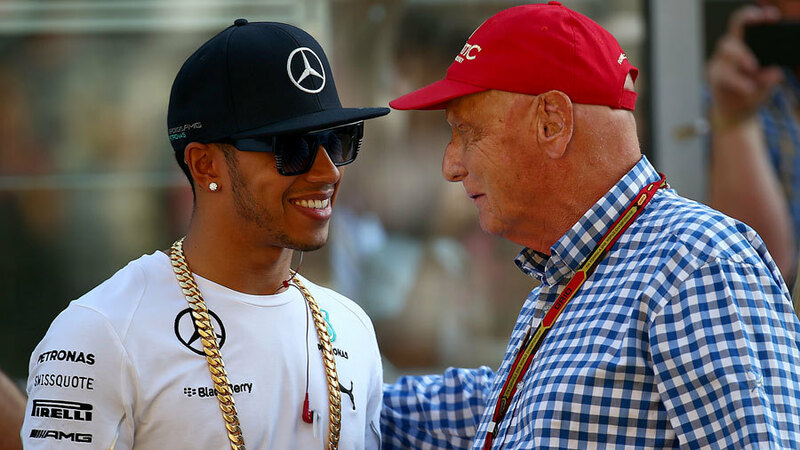 Mercedes chairman Niki Lauda believes the battle between Lewis Hamilton and Nico Rosberg will not be as bitter in 2015 after Hamilton's victory this year. Hamilton took the title with his 11th win of the season in Abu Dhabi as Rosberg's challenge faded with a reliability issue. The year has seen the rivalry between the two intensify and peak with a collision at the Belgium Grand Prix, but Lauda sees a more harmonious relationship between the two next year. "When you overcome all these issues and one won the championship and the other didn't and one hit the other and other didn't, then it's going to be easier, yes," Lauda said. "They respect each other on their level of performance." Asked if he ever though the relationship may have become too toxic, Lauda said: "Spa, very simple. It came up in Spa because of things building up in Budapest and then Spa was the hit. "We got it all under control again, all of us together and not just us telling them. They realised what they should do and from then on it all worked. The outcome today is unbelievable, they are fighting each other and then they hug each other and one congratulates the other."